E-learning portal for massage professionals . 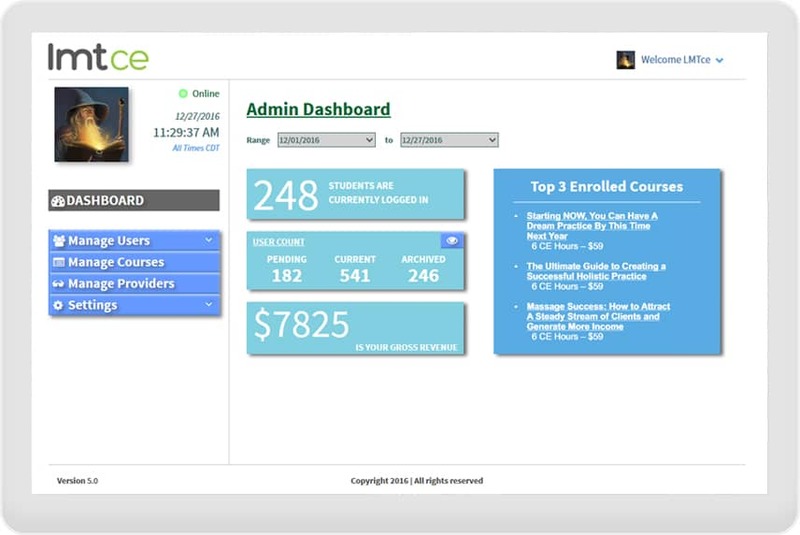 Users will get access to a customised dashboard where they can download and upload the videos and texts related to the course. Users can take the various quiz available and get certified.